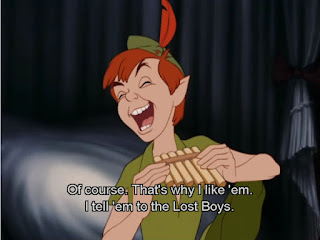 Note the panpipe or pan flute around the neck of this new Peter Pan? I'd like to commence a conversation involving the considered conclusions of Forteans and synchromystics. 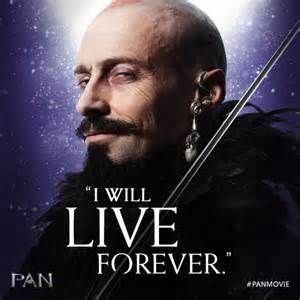 Specifically, I wonder how we all are feeling about the new Pan film? 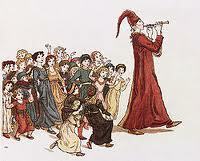 The movie is placing itself to the forefront with the use of the subtle marketing of the old Greek god of the wild, rustic music, and companion of the nymphs, Pan. In the world of new movies, Pan is an forecoming synchrocinematic effort, directed by Joe Wright and written by Jason Fuchs. 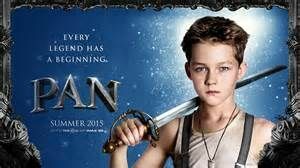 It stars Hugh Jackman, Garrett Hedlund, Rooney Mara, Amanda Seyfried, and Levi Miller as the title character. 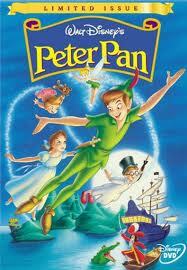 As an anonymous writer put it, Pan is "an invented origin story for Peter Pan and Captain Hook." 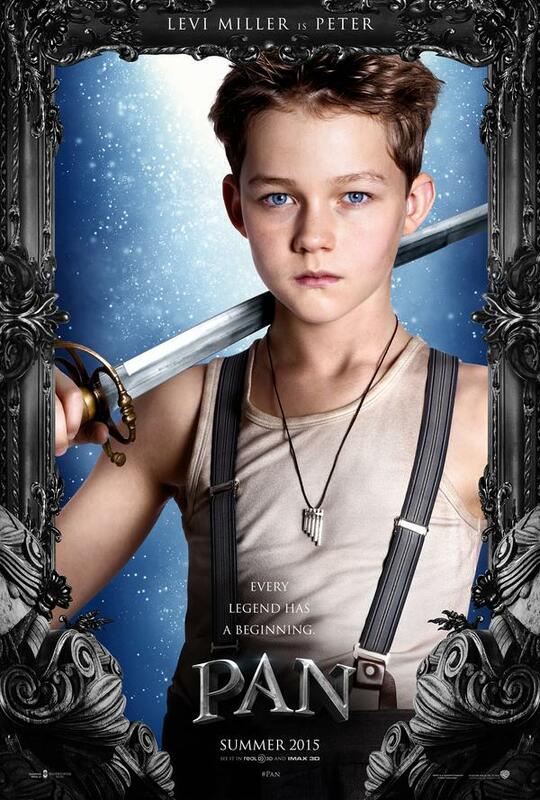 Pan is scheduled for release in the USA on October 9, 2015, and in the United Kingdom on October 16, 2015. I'm assuming worldwide distribution will follow. Looks a bit misleading to me, since it's really about Peter Pan, of which there have been around ten versions, starting with Walt Disney’s in 1953, according to Netflix. Of course some are spinoffs like Hook (1991, with Dustin Hoffman and Robin Williams) and Finding Neverland (2004, with Johnny Depp and Kate Winslet). 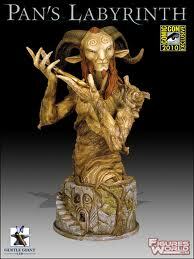 The best treatment of the mythological character that I’m aware of would be the Spanish-made Pan’s Labyrinth (2006, with unknown players but good special effects). 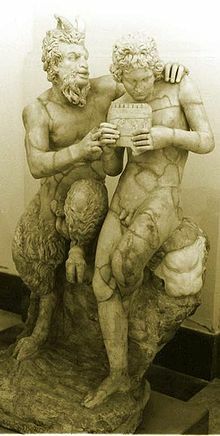 To the cognoscenti, Pan is not a benign or benevolent member of the Hellenic pantheon--Wiccans to the contrary--but a dark figure and a betrayer. The encoding of Pan symbols in the Group Mind fits the general pattern of the ignorant, seemingly playful, self-destructive behavior of the human race as the Kali Yuga winds down. Adam Parfrey, the lead coauthor of of Ritual America, notes that he once wrote about the modern-day manifestation of "Pan" in what I feel is today a classic article, "Pederastic Park?". Also, he mentions an extension of his "Pan" sense of such cinema by Jimbo X in "Steven Spielberg: The King of Child Exploitation Cinema?" As far as is known, Steven Spielberg is unattached to this version of the story. According to the one of the 20th century's leading experts on ancient Rome, R. E. A. Palmer: "In Rome Pan, an old Greek god ..., was thought of as a deity of good health." Here is the famous "Pan is dead," as cited in Hamlet's Mill: "Everyone has once read, for it comes up many times in literature, of that pilot in the reign of Tiberius, who, as he was sailing along in the Aegean on a quiet evening, heard a loud voice announcing that 'Great Pan was dead.' 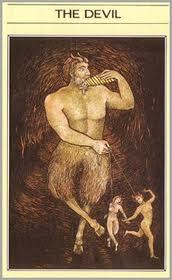 ...On the one hand, it announced the end of paganism: Pan with his pipes, the demon of still sun-drenched noon, the pagan god of glade and pasture and the rural idyll, had yielded to the supernatural. On the other hand the myth has been understood as telling of the death of Christ in the 19th year of Tiberius: the Son of God who was everything from Alpha to Omega was identified with Pan = 'All.'" Don't forget James Shelby Downard's "All that is hidden will be made manifest." is hidden will be made manifest." ~ Matthew Bell. In the realm of stream of consciousness linking of one thought to another, where Pan and Peter Pan turn up in the middle, Wayne J. Bush's Tricked by the Light blog captured an array of good illustrations and associations for the 2013 illustrated "Tricksters & the Trickster God." 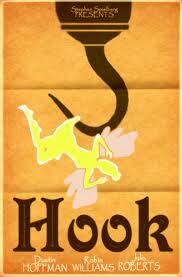 To quote another of pointed ears, "fascinating". To tie it all together, October 9 would have been John Lennon's 75th birthday. Planet Mercury is currently retrograde and goes direct on Oct.9, the day "Pan is released". Seeing Hugh Jackman with a bald head and the words "I will live forever" reminds me of the movie The Fountain. In his Cosmic Trigger, RA Wilson linked Peter Pan with Spock and the Jolly Green Giant as pop culture manifestations of the plant spirit Mescalito.